There is no age limit to getting a healthy and beautiful smile. True Image Orthodontics works with patients of all ages. There has never been a better time to get the smile you have always dreamed of. The American Association of Orthodontists states that 1 in 5 patients is actually over 21. Adults understand that orthodontic treatment not only can boost self-confidence but also helps to achieve and maintain the best oral health possible. If your teeth are crowded or overlapping, they can become difficult to keep clean and are a breeding ground for decay, gum diseases and bone loss. Misaligned teeth can cause irregular wear on your teeth and jaw problems. Orthodontics can help to correct these issues and allow you to maintain proper dental hygiene. When you meet with Dr. Dave, address any concerns you have and any issues you are aware of. You do not need to be uncomfortable or in pain any more, we are here to help regain your health and your confidence. What Options Are Available To Adults? With the advances in orthodontic technology nowadays, treatments are far more effective and comfortable than ever before. Depending on the treatment plan Dr. Dave customizes for you, you can choose from traditional metal braces to ceramic. If you are interested in Invisalign, Dr. Dave can discuss this with you to see if it may be an option for you. Many adults do not want their treatment to be noticeable and we understand. We will work with you to deliver the best possible style for your treatment needs. What Is The Average Treatment Timeframe? Treatments may take as little as 6 months or up to 24 months, depending on the type of treatment needed for each patient. As we get into adulthood, the jawbone stops growing which is why treatment times can be slightly longer than with children. If you have missing teeth or have other conditions, additional procedures may be needed and will be discussed with you when Dr. Dave goes over your customized treatment plan. 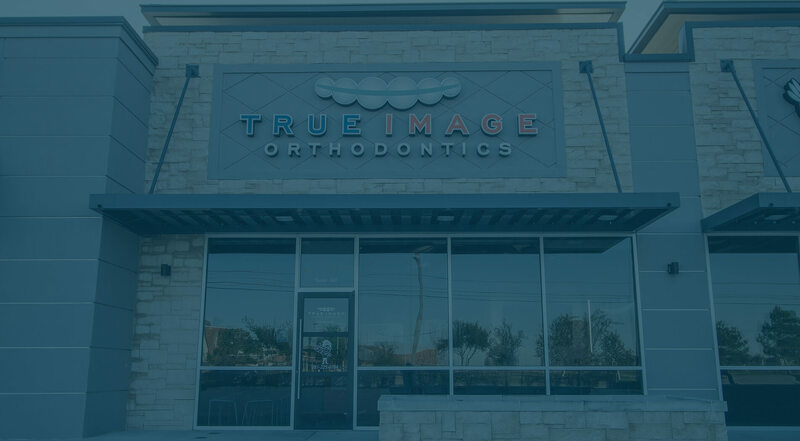 True Image Orthodontics is here to help you regain your smile.